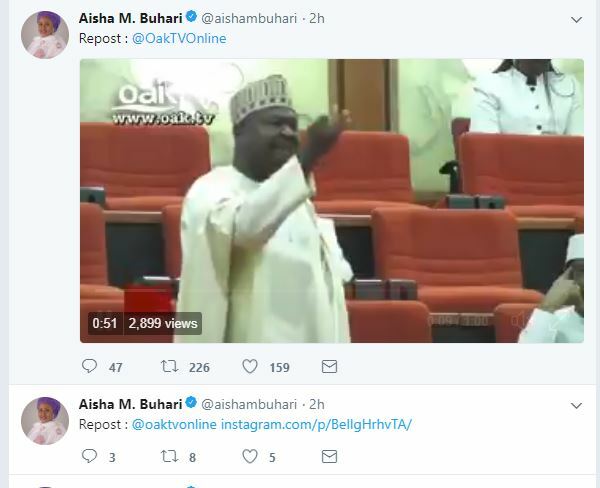 Wife of President Muhammadu Buhari, Aisha, using her official Twitter handle @aishambuhari on Friday reposted videos of two senators criticising the Federal Government. 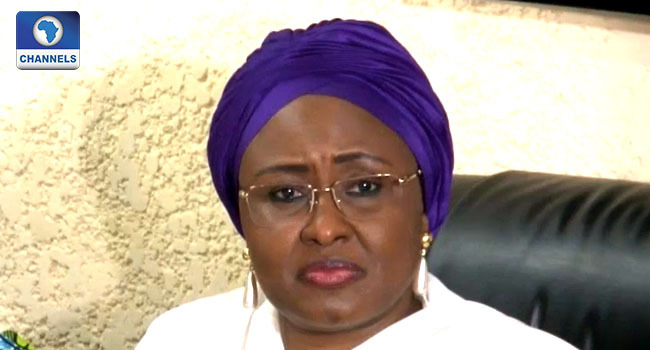 Senator Isah Misau representing Bauchi Central at the National Assembly had on Wednesday criticised the appointment of the Director General of National Intelligence Agency (NIA) questioning if he is qualified for the position. “So many incompetent people are holding so many positions. Fifty per cent of the ministers are not performing. Since the president assumed office he has not taken any decision to move this country. 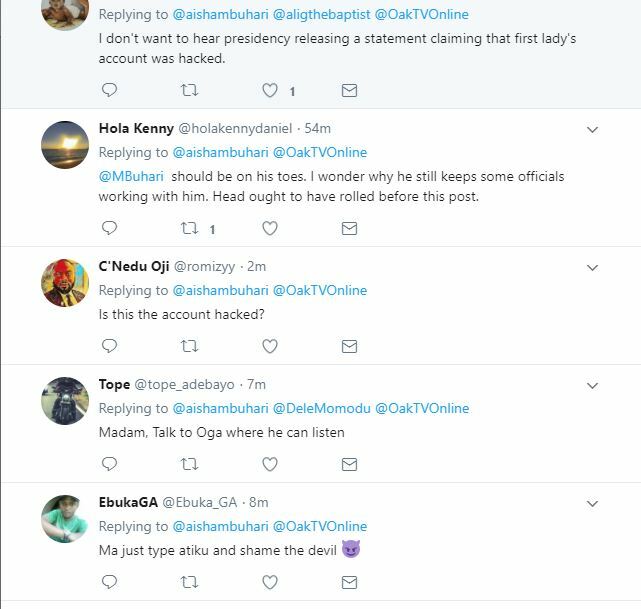 Today we are seeing it and everybody is avoiding it, nobody wants to say anything,” Misau said in the video. 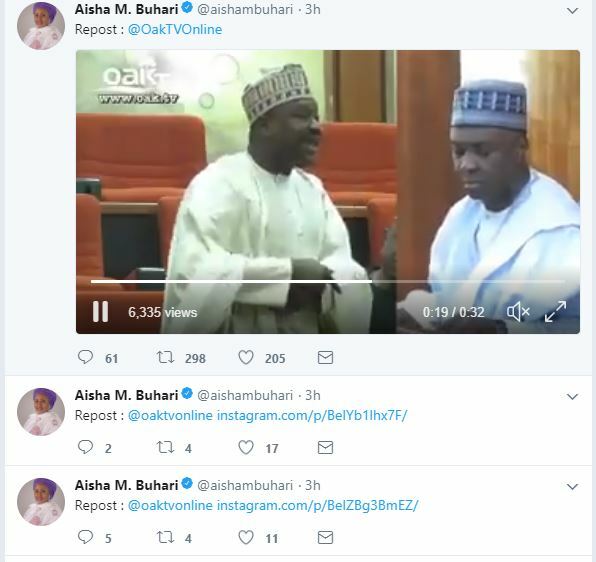 Aisha Buhari also reposted a video of the Senator representing Bayelsa East, Ben Murray-Bruce, lambasting the Federal Government claiming Nigeria is a lawless country. These series of tweets are the first tweets by the First lady since her post with Seasons Greeting on December 25, 2017.